Instagram video downloader is web application to download instagram videos online in high quality. Its free and easy to use, you can get any Instagram video in MP4 format using our Instagram video downloader. It extracts the video from Instagram, and you can download the video directly from Instagram. Instagram is an online social networking service where user can take and share photos, videos on its app and other social networking sites. Go to Instagram and open the video you want to download. 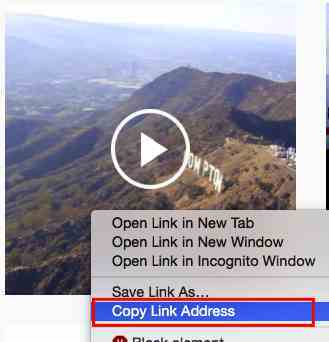 Copy the the link/url of the video you want to download from the address bar, or right click on video and "Copy Link Address". Paste the url/link of the instagram video in above input box and click on "Download" button.